EVIE's history. Evie is a quality Australian built kombi; manufactured in Volksawgen's Melbourne factory. She spent her youth living in country New South Wales where she was discovered. Despite years of neglect, Evie was structurally perfect. She'd been left in a farm shed which shielded her from nature's elements. Incredibly, her engine turned over and we were able to reverse her out, releasing her from her confines. She was a true 'barn find'. Years of restoration has transformed Evie to the beauty she is today. Like our other kombis, no expense has been spared. She's endured many beauty treatments including, (but not limited to) a painful dermabrasion, followed by a fresh coat of paint, a new engine, suspension, brakes, a complete interior fit out and soundproofing. Evie likes to entertain so a brand new sound system was also installed. Her restoration is true to her vintage and Volkswagen heritage. Even her seats are the original Volkswagen spring and coconut fibre, so they are very comfortable. She now glistens with confidence and loves joining her friends George & Jo on the road. 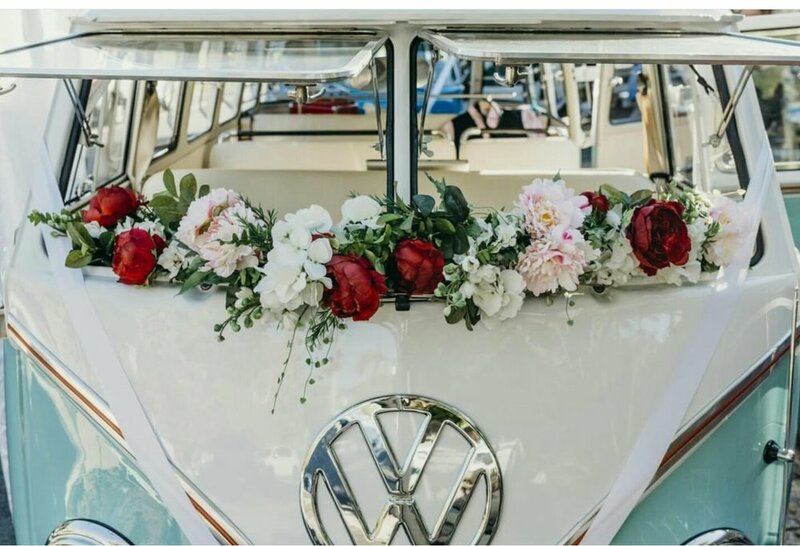 Evie spent months in Melbourne with Volkswagen interior specialist, Bus n Bugs for her interior fitout. Her restoration is true to her vintage & Volkswagen heritage. No expense has been spared as she has been restored to the very highest standard. Even her seats are the original Volkswagen spring and coconut fibre.